Mortal Kombat 11's roster continues to grow with a newly confirmed warrior for the roster. This time D'Vorah has been confirmed for the title. 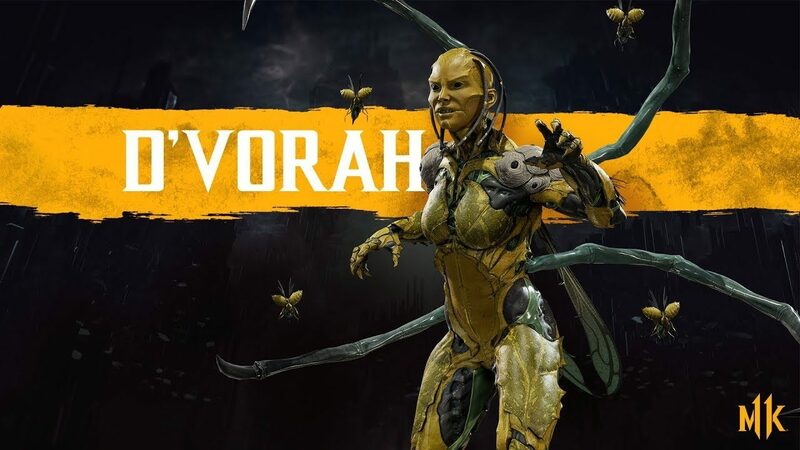 D'Vorah joined the series back in Mortal Kombat 11 as Kotal Kahn's first minister to the Outworld. One of the more agile combats D.Vorah was known for keeping her enemies off-balance. It wasn't shown if she'll keep this style but judging from the image provided it's likely. Mortal Kombat 11 is set to release on April 23, 2019, for PS4, Xbox One, Nintendo Switch, and PC. Check out the guest characters we would like to see in MK11 here.